Oh, the anticipation. 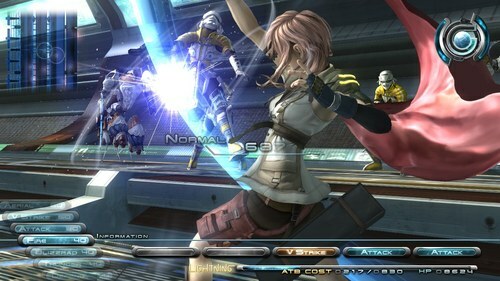 The level of anticipation on Final Fantasy XIII (13) is so high you could cut it with a knife. A really big, super deformed knife glowing with tons of bloom effects and particles. Anyway those of you who know us know we regularly troll for pre-orders and lo and behold, there’s the pre-order for FFXIII on Amazon. Yes that’s right, you can plunk down $59.99 right now for a game that won’t be released until May of 2010, maybe. Unless it is delayed or the world ends or Amazon goes out of business. Although we bet the world will end before Amazon goes under. Anyway, for those of you who must get on the list “right now” for a game destined to sell a zillion copies regardless of how good it is, here you go.